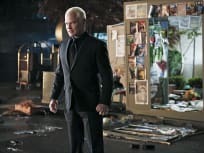 On Arrow Season 4 Episode 23, the Green Arrow teams up with a surprising source to stop Damien Darhk from destroying the world with nuclear bombs. On Arrow Season 4 Episode 21, Felicity seeks help from her father to try to stop Damien Darhk from destroying the world with nuclear missles. An Arrow Season 4 Episode 20, Oliver and Felicity look for a magical solution to defeat Darhk, while Diggle pursues Andy to exact revenge for Laurel's murder. On Arrow Season 4 Episode 19, the team deals with the aftermath of Laurel's death while a copycat Black Canary wreaks a bit of havoc on Star City. On Arrow Season 4 Episode 18, "Eleven-Fifty-Nine," Oliver and Diggle learn Malcolm might try to break Darhk out of prison, and Laurel gets a surprising offer. Felicity, Donna and Thea are in trouble at Palmer Tech when Brie Larvan wants what Felicity has, and when Oliver gets wind of it, he calls on a surprising ally to help. On Arrow Season 4 Episode 16, Cupid returns to Star City to kill anyone in love and Felicity and Oliver pose as potential victims to lure her in. Oliver realizes he needs help on Arrow Season 4 Episode 15 and calls in an old friend for help. Meanwhile, Thea has a heart to heart with Malcolm. Guilt is the word on Arrow Season 4 Episode 14 as Lance begins to think Donna may be safer without him and Oliver feels the shame of not sharing with Felicity. On Arrow Season 4 Episode 13 Oliver receives an offer from Nyssa that is hard to refuse. Thea continues fighting her bloodlust and Laurel has a chat with Nyssa. On Arrow Season 4 Episode 12, two favorites return to Star City as Nyssa makes her move and Roy Harper is back in town. Oh, and the Calculator pays a visit, too. 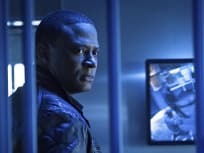 On Arrow Season 4 Episode 11, Diggle needs to learn to trust his brother, Andy, when an enemy from their time at war, an agent from Shadowspire, comes to Star City. On Arrow Season 4 Episode 10 Oliver must deal with the devastating consequences of Darhk's last attack. Seeking revenge, Oliver goes on a brutal manhunt looking for Dahrk. 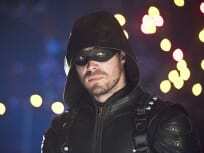 On Arrow Season 4 Episode 9, after the city is attacked again, Oliver makes a bold move against HIVE and things take a horrible turn when Darhk retaliates at Oliver's holidy party. 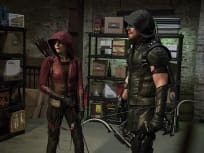 On Arrow Season 4 Episode 8 Barry and Oliver head to a remote location with Kendra and Carter to protect them and a meeting with Vandal doesn't go as planned. 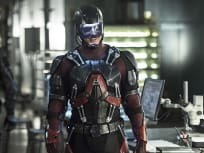 On Arrow Season 4 Episode 7 Team Arrow's ongoing battle with Damien Darhk is complicated by a shocking revelation, and Thea loses control of her bloodlust in front of Alex. On Arrow Season 4 Episode 6, Felicity is frantic when she learns Ray is alive and being held by Damien Darhk. The team sets out to save him, but things get in the way. On Arrow Season 4 Episode 5, Oliver calls in his old friend John Constantine for help when things continue get worse with Sara. Can he help? On Arrow Season 4 Episode 4, Laurel must deal with the repurcussions of taking Sara to Nanda Parbat. Meanwhile Oliver asks Lance for a favor, but learns something surprising. On Arrow Season 4 Episode 3, gowing tension between Oliver and Diggle puts both of their lives at risk. Meanwhile, Laurel talks Thea into asking Merlyn to resurrect Sara. 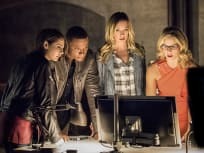 On Arrow Season 4 Episode 2, when family friend Jessica Danforth tells Oliver and Thea she's running for mayor, they're concerned, since the last three were killed. On Arrow Season 4 Episode 1, Oliver and Felicity are living in the suburbs when they're lives are interrupted by a request for help by Laurel and Thea. Green Arrow: I saved them. Darhk: I wanna be clear about something. I have shown you repeatedly that you cannot beat me. You saved my family, so I will give you a few weeks to spend with yours. Enjoy your time. What's left of it. Diggle: He's not human anymore. Darhk: Oh, I'm still human. Just better. Permalink: Oh, I'm still human. Just better. Arrow Season 4 Episode 21 Promo: "Monument Point"
Arrow Season 4 Episode 20 Promo: "Genesis"
Arrow Season 4 Episode 18 Promo: "Eleven-Fifty-Nine"